Bower Green has an unrivalled reputation for providing competitively priced and comprehensive sea freight worldwide, with representation in over 90 countries. We are responsible for the safe and timely delivery of goods for a wide variety of sectors from construction and engineering to electronics, foodstuffs, furniture, print…. 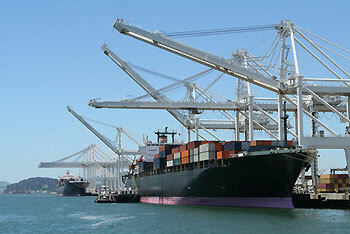 in fact we will arrange the shipping and collection of any type of product to anywhere in the world. All shipments are expertly handled by our dedicated logistics team, who will advise the best route and service level, according to your specific needs. Bower Green also has representation at all major worldwide ports, so you can rest assured that your product is in safe hands throughout its transit. No matter how many ports your product passes through, your Bower Green service specialist in the UK will be your single point of contact and will be able to track progress and give you regular updates. We can also arrange full documentation on your behalf such as Letter of Credit checks, Certificates of Origin, Consular/Legalised documentation as well as customs brokerage services – so your product won’t be unnecessarily delayed. Ask about our container consolidation and groupage consolidation services – you’ll be pleasantly surprised by our rates and delivery schedules.